The Sophie Silk Blouse is a silhouette we first designed for last Spring. We had studied the silk blouses on the market-many of them were either too sheer, too pricey or too short. We again felt like it was a piece we could design in a better, more flattering way and that we could sell at a great value. We buy our silk from three sources in NYC who sell to all of the city's top designers. Last Spring, we used silk charmeuse and used the matte side of the fabric for a more minimalist look. This Fall, we took the pattern and produced the blouses in silk crepe de chine, which is a bit lighter (but not at all sheer) with an even more elegant drape. We chose shiny gold buttons from Italy to give it a bit of extra glamour. The Sophie has a sophisticated yet relaxed fit, with shirring on the back, that looks chic tucked into a pencil skirt or worn over a skinny pant. The bracelet sleeves have a keyhole closure with a button that can be undone, so you can push the sleeves up or down as necessary. We think the blouse looks great with a hefty bangle, or a big cocktail ring or a dainty pendant. 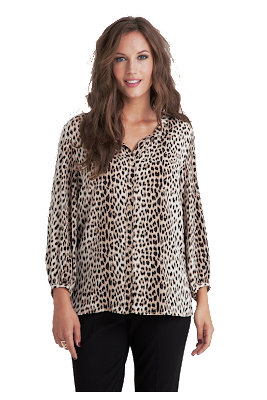 Animal prints have become year-round neutrals that look good with a variety of solid colors. 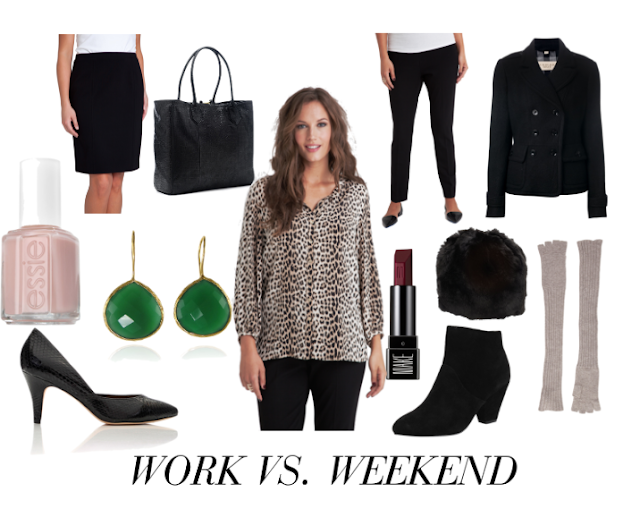 Leopard always has a mod, luxe appeal-and this is an easy way to wear it.